In the far Northern Hemisphere, the small town of Barrow, Alaska, experiences a solid month of darkness every year. Though most of the residents head south for the winter, some townspeople remain behind. However, those that stay regret their decision when, one year, hungry vampires descend on Barrow to feed. 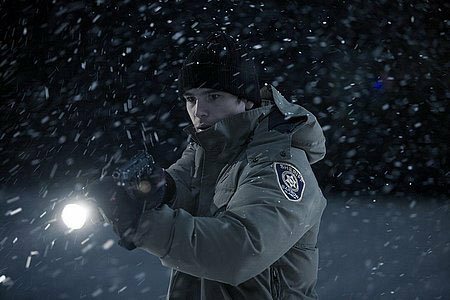 Sheriff Eben (Josh Hartnett), his wife (Melissa George) and a dwindling band of survivors must try to last until dawn breaks over Barrow's monthlong twilight. 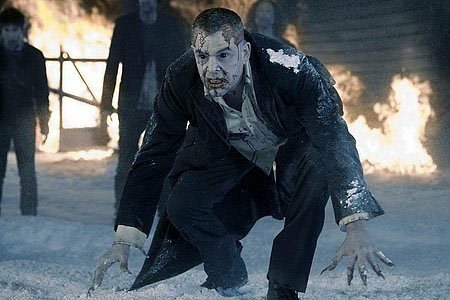 Download 30 Days of Night in Digital HD from the iTunes store. 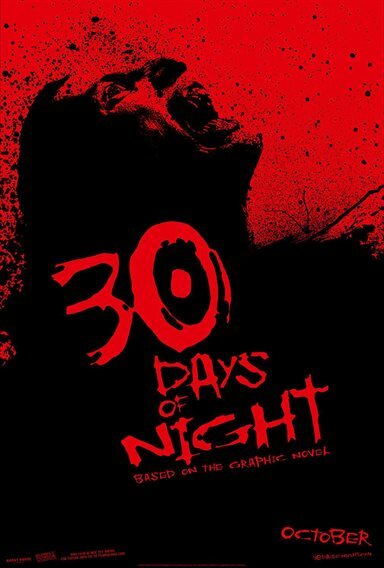 30 Days of Night images are © Fox Atomic. All Rights Reserved. 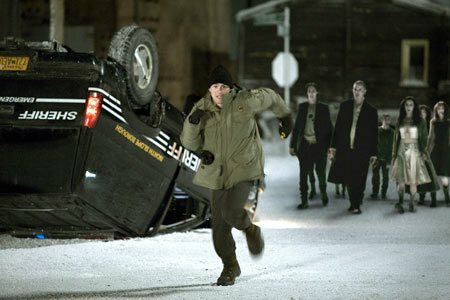 30 Days of Night images © Fox Atomic. All Rights Reserved.